Kokesh is proposing a march on Washington DC and has invited liberty lovers to join him – with loaded weapon, and in an open-carry fashion. It’s almost certain that this campaign will attract all sides of the mainstream media spectrum – and expect the likes of CNN and White House network channel MSNBC to publicly hang him (in media terms) for even suggesting such a challenge to the US federal government. 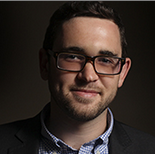 Salon.com has already begun the ritual character assassinations (see story below) in an attempt to discredit him, but in usual MSM hit-piece fashion, author ALEX SEITZ-WALD is unable to actually challenge Kokesh on the Constitutional merrits of what’s being proposed on July 4th. Chatter has already started regarding CNN’s own expert on American affairs, British host Piers Morgan, inquiring about getting Kokesh on CNN turf. Granted, Adam is no media pushover, and can make an articulate argument for the 2nd Amendment to stand as is. He’s also unlikely to self-destruct on air as some have been known to do in the past. Almost certainly, MSNBC will be lining up their own carpet bagging British anti-gun mouthpiece, Martin Bashir, in an attempt to draw some media blood over this march. 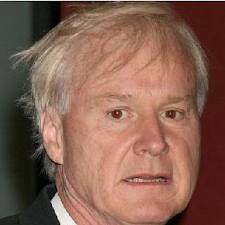 White House hard-baller Chris Matthews will likely pass on such an interview and with shirt tail hanging over his belt, will no sooner head straight for that bar across the street from 30 Rock Plaza. If you share the believe the US is sliding into police state mode, then an armed march on Washington DC is potentially a major deal – and one which the federal government would NOT like to see happen – it would be a huge embarrassment to the liberal anti-gun establishment – a red white and blue egg on the face of Biden, Holder and off course Obama. Libertarian activist and radio host Adam Kokesh is hoping to get 1,000 people to march on Washington on July 4 — armed with loaded rifles. The plan, launched with a Facebook group today, is to gather on the Virginia side of the Potomac, where gun laws are lax, and then march across the bridge with loaded rifles slung over their shoulders into the District, where openly carrying weapons is generally prohibited. Kokesh is a former Marine who was discharged in 2007 after violating the military’s code against engaging in political activity while in uniform. 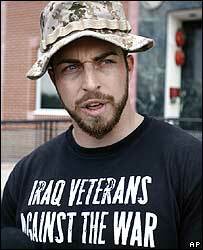 Kokesh was highly active in the antiwar movement after serving in Iraq, participating in numerous protests and getting arrested on occasion. He started an anti-government radio show as the Tea Party picked up steam and was eventually picked up by RT, the news channel funded by the Russian government that is often critical of U.S. policy, where he promoted both the Tea Party and Occupy Wall Street in a worldview that some sociologists describe as “fusion paranoia,” a visceral anti-governmentalism that isn’t limited to typical left-right divides. He ran into trouble when he endorsed Ron Paul in the 2012 election, which led to an FEC complaint and his termination from RT, though employees have told me privately that there were other, darker issues. When the government comes to take your guns, you can shoot government agents, or submit to slavery. Whether Kokesh actually goes through with his plan remains to be seen — he says he won’t do it unless 1,000 join him — but the protest may strike a chord with gun fanatics, who stage “open carry” protests across the country to fight gun control laws. There was one in Washington in 2010, but those rallying inside District lines did not actually carry weapons. Kokesh did not immediately return an email seeking an interview (a message on his website says he’s in Barcelona), but we will update if he does.